Prince is for the majority of teaching Nepali lessons during the training period in Kathmandu, He has over 7 years of experience teaching Nepali and Cultural information has worked with PVN-NEPAL since its inception before joining PVN Nepal, he worked with Saroj for 4 years, teaching the Nepali and Cultural Exchange. 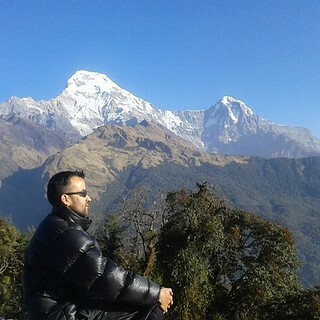 he finished his Bachelor degree in Education and Health is very helpful and supportive, participating tours, trekking, paragliding, Rafting all kind of Nepal Experience program we Coordinate he is also Government Licence holder Tour and Trekking Guide he enjoys interacting with International Volunteers. Samir is a coordinator, supports volunteers throughout their placement in Lamjung. Samir is also a computer engineer and takes our volunteers in Lamjung He is very friendly and open with good English. Karin worked with Saroj in April 2010 and she was placed in Pokhara Children Resource Centre at School. After her volunteering time Karin stayed in 9 more months in Nepal, She knows lots about Nepal and Karin have traveled to many places in Nepal. Nora worked with Saroj in April 2012 and she was placed in Pokhara Children Resource Centre at School.taught English for class 2 to 8. She deeply observed Hindu and Buddhist Tradition & culture and Nepalese lifestyle. She finished her Master in Buddhist Religion. She has visited Nepal 3 times after her Volunteering program. Ravi came to Nepal in 2008 with Beautiful wife Nirmala and Cousin Shiva. They have volunteer 2 weeks in total with our organization. They have been in orphanage Work. They promise to Explore Himalayas Trekking next Time. Anna came to Nepal in 2012. Anna has volunteer 4 weeks in total with our organization. 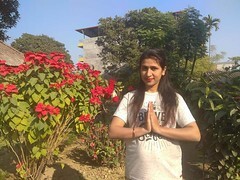 she has been Volunteer work for Children Resource Centre in Chitwan. She Experienced Nepal Himalaya Trekking with our Team. Moritz joined PVN Nepal in March 2012. Moritz placement was in Pokhara and Chitwan where he Teaching at Monestry and Chitwan work in Orphanage! Moritz had a great time in Nepal. Nicolas was Work with Saroj in March 2010. Nicolas placement was in Langtang where he opened a library! Nicolas had a great time in Langtang, discovering the beautiful sites and teaching the local children and School. Mary works with Saroj from October 2010 until March 2011 for 2 months. She was placed in Langtan and Chitwan in school to teach English. Kendrick worked with PVN in April 2014 for over 6 weeks. He was placed in Lamjung, He taught English in a School in Rupakot 6, Kendrick thoroughly enjoyed his time in Chitwan National park, hope to return back to work with us again. Fiona worked with Saroj in March 2009 for over 2 months. She was placed in Pokhara to work in an orphanage. She also taught English in a children resource center in Thulaket as well as in a Buddhist monastery in Lumbini. Fiona thoroughly enjoyed her time in Nepal and hopes to return to work with Saroj again. Piluka came in Nepal in 2013, she found Nepal is her second homeland. She was a volunteer with PVN 8 weeks. She was placed in Pokhara teaching Teaching at Buddhist nun monastery taught English for class 2 to 7. She deeply observed Hindu and Buddhist Tradition & culture. She sponsors orphan kids. Juan was a volunteer with PVN in June 2015 for over 4 weeks. 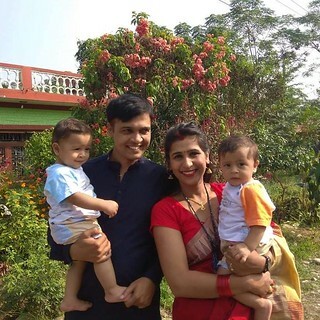 He was placed in 2 different places first Chitwan teaching at School & Daunne Nawalparashi, Teaching at Buddhist nun monastery taught English for class 2 to 7.Juan deeply observed Hindu and Buddhist Tradition & culture.